The Skinny: Someone has killed the three most powerful clan leaders in the Martial world. Swordsman Chu Liu-Hsiang must uncover the truth behind the enemy's plans before the culprits can frame him and gain absolute power. Legendary swordsman Chu Liu-Hsiang (Ti Lung) has been accused of murdering the leaders of the three most powerful clans in the Martial world. Together with mercenary Yi (Ling Yun) and the chivalrous Black Pearl (Li Ching) he sets out to find the real killers. Hsiang follows one clue to the next and is eventually led to the Magic Palace, which is inhabited by a bunch of hot bisexual princesses. Had this been a category 3 film, Hsiang would have been extremely distracted. Instead, Hsiang discovers the identity of the real killer, who also happens to be sexually ambiguous. Along the way, he also uncovers a dangerous plot to try and gain control of the Martial world. The same team that made The Magic Blade is responsible for Clans of Intrigue, and both films were based on classic novels. However, Clans is lighter on action and heavier on narrative twists and turns than its predecessor. 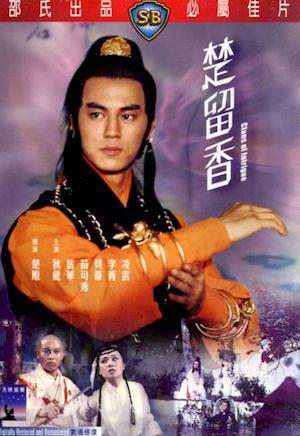 That's not to say that there aren't some great fights; after all, this is a Shaw Brother's movie starring Ti Lung. The sword fights and kung fu are top notch. But, the overall emphasis is not on action, but on finding the identity of the killer and aborting their evil plan. The narrative is very good, especially towards the end of the film when lots of double crossing occurs between Princess Yin Chi (Pei Tei) and Kung Nan-Yen (Nora Miao).